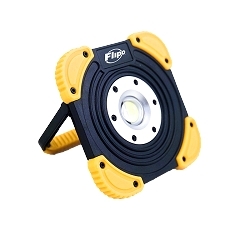 Be prepared for emergency situations with the NEW Dynamo Hand-Crank Flashlight from Flipo. 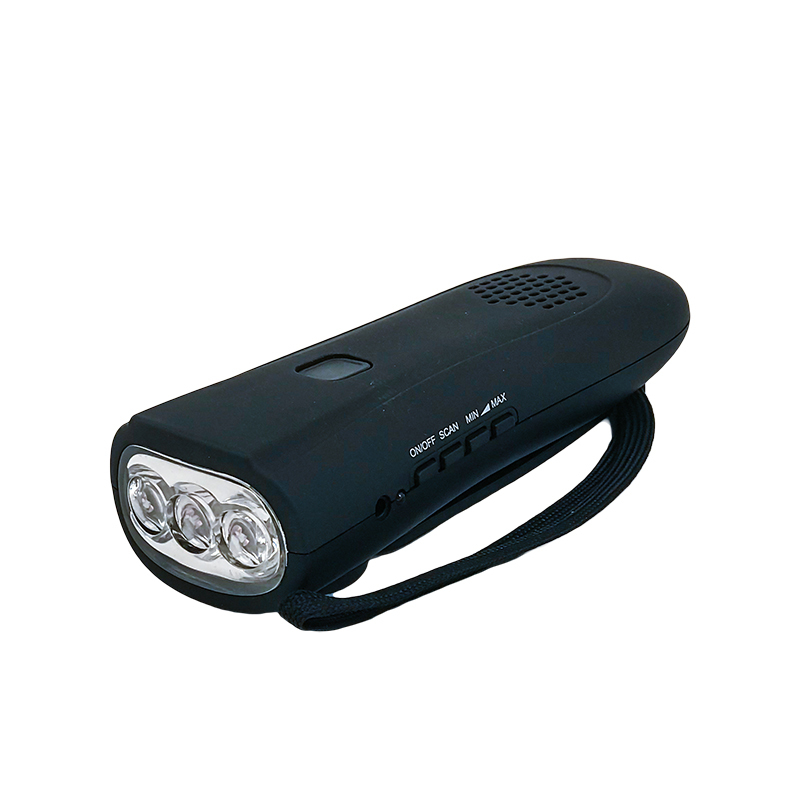 The manual hand-crank charging feature allows you to power up anywhere, providing a 20 lumen LED flashlight, FM radio, and a 1000 mAh rechargeable power bank. One minute of hand-cranking provides ten minutes of light! 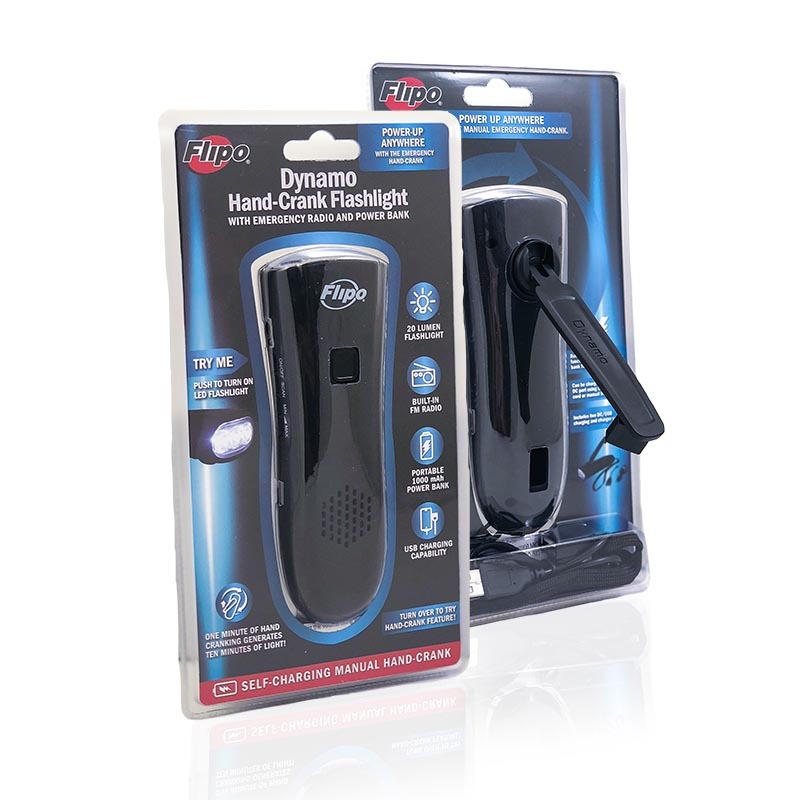 Use the integrated power bank to charge your mobile device with the included DC/USB charging cable. 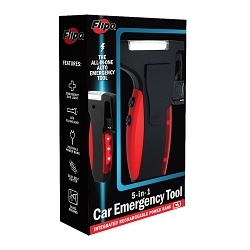 Use in your home in case of power outages, car emergencies, camping, and more! 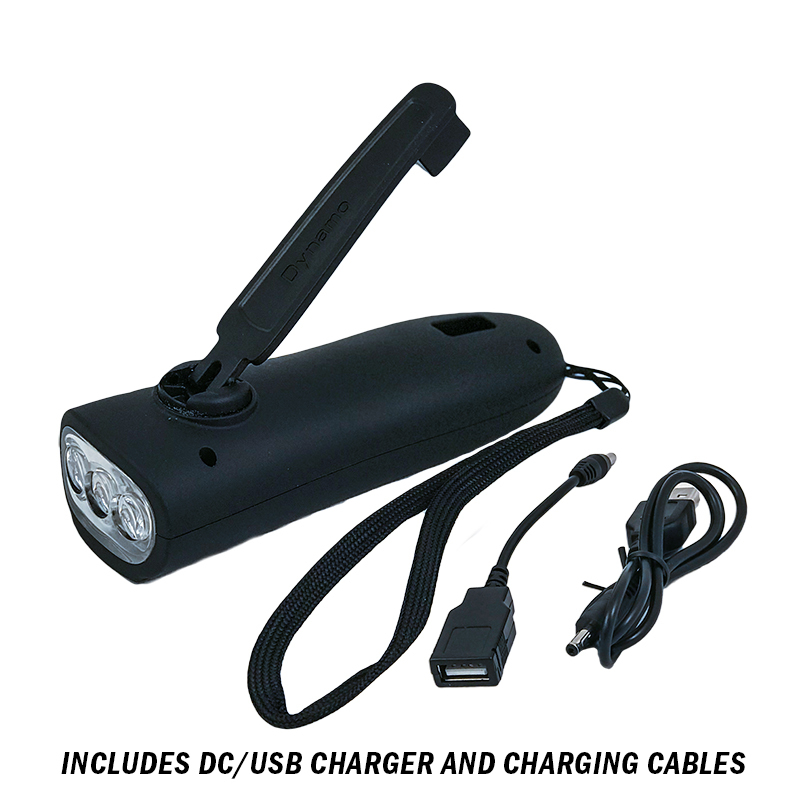 The Dynamo Hand-Crank Flashlight and Power Bank is the ultimate emergency companion that will never leave you in the dark. 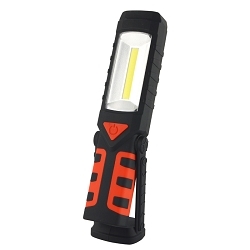 Emergency 20 Lumen LED flashlight. Emergency FM radio with volume and scan controls. Manual hand-crank for emergency backup power. DC port for DC/USB charging and charger cables (included). 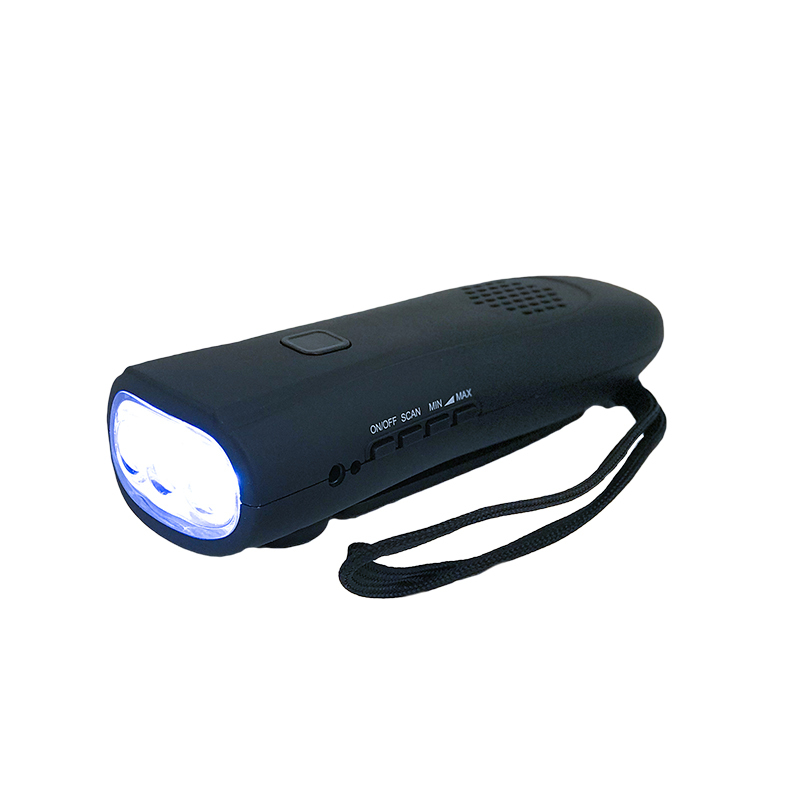 Integrated 1000mAh/3.7V Rechargeable Lithium battery. Dimensions: 6" X 2 1/8" X 1 1/4"